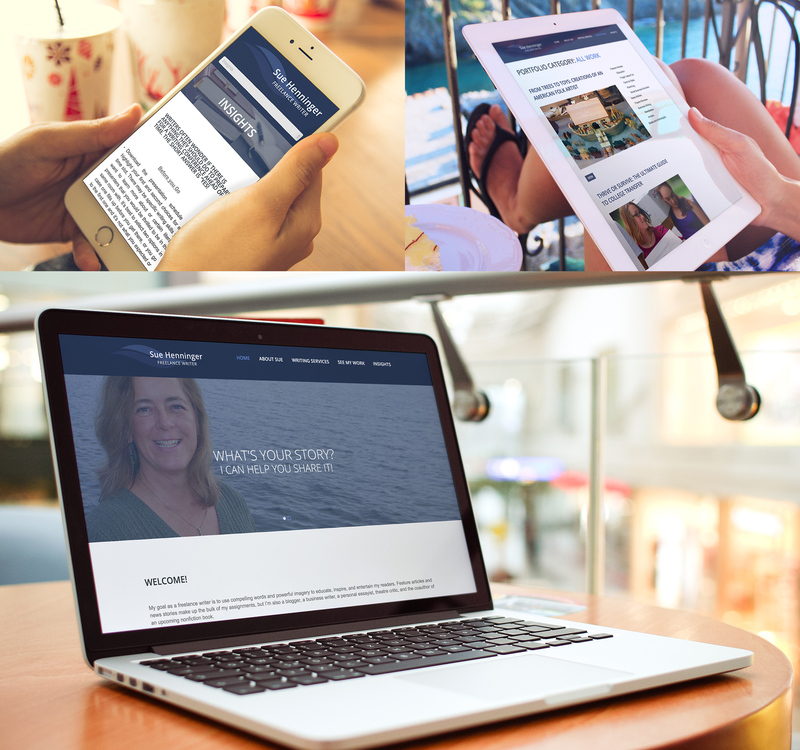 A new build modern, responsive website for a local freelance writer. The old website was built around a business name and did not respond well to mobile access. Initial strategy discussion with Sue resulted in a change in direction to focus her business more on her name vs. the business name of the old website. The new approach drove the look and feel of the website. An attractive, modern website that ‘personalizes’ the writer and makes her more relatable to her customers. The clean, flowing design of the site makes it easy to find information, and is very responsive to any device used to access the site.